The new overtime regulations were officially published on May 23, which among other things, more than doubles the salary level requirement for exemption under the Executive, Administrative, and Professional (so-called “white collar”) exemptions under the FLSA. At the same time the final rule was published, the agency also published in the Federal Register a “time-limited non-enforcement policy for providers of Medicaid-funded services for individuals with intellectual or developmental disabilities in residential homes and facilities with 15 or fewer beds.” The regs are effective Dec 1, 2016; however, the agency has announced that for this limited category of employers, it will not enforce the new salary level until March 27, 2019. This means the current salary level of $455 per week will continue to apply to employees working in these small residential homes and facilities with 15 or fewer beds and providing Medicaid-funded services to people with certain disabilities. While this is welcomed news to this subset of organizations, do keep in mind the effective date of the new Final Rule remains December 1, 2016. Although this policy announcement means the DOL will not take agency action to enforce the new salary level for this segment of employers, the agency’s non-enforcement policy does not protect these employers from private lawsuits by employees. Additionally, these employers should keep in mind this limited non-enforcement policy only applies to the new salary requirement, and not to other FLSA compliance issues (such as the duties test requirements for the exemptions). 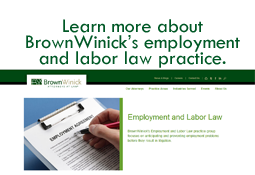 Employers who have questions about the application of this policy, would like help evaluating their policies and practices, or are interested in a customized wage and hour Audit or assistance with reclassifying employees, may contact Megan Moritz or another member of our Employment & Labor Law Practice Group for more information.